The Byron Journal was founded in 1973. It is published twice annually for the Byron Society by Liverpool University Press. 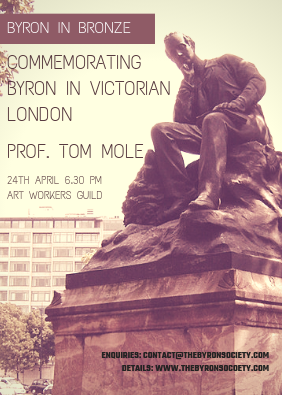 This internationally renowned journal includes scholarly articles and notes on all aspects of Byron’s writings and life, and those of his peers. 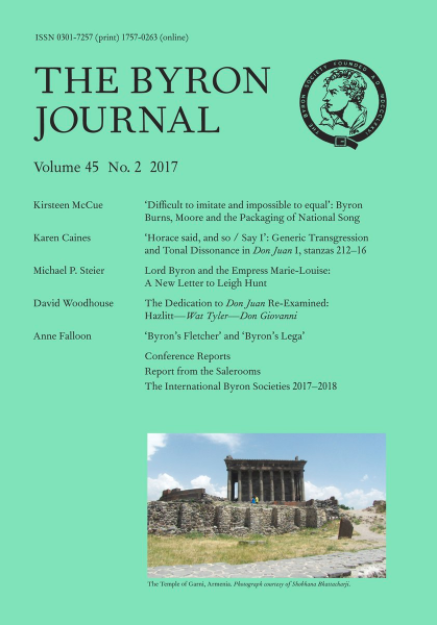 The Byron Journal not only provides a forum for leading authorities to discuss all things Byronic but also contains news of significant events and conferences, together with book reviews. We always welcome letters and reviews of any works relating to Lord Byron, so please get in touch if you would like to make a submission or a suggestion. 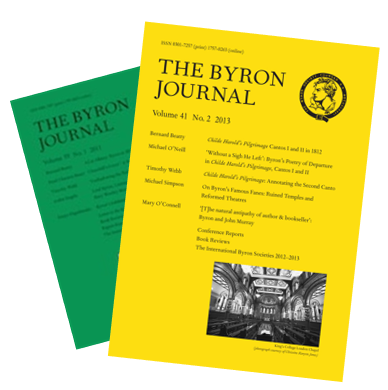 Members of the Byron Society receive the two annual issues of the Journal for free. Members also receive access to the complete digital archive of past issues since 1973. Details of online access here. Details of the complete archive are available here, and contact us to purchase individual copies. Access a free sample issue of The Byron Journal here. This includes articles on Manfred’s ecological turn, Kierkergaard’s Byronic adversary, illegitimate publication, and new etters to Byron. For Institutional subscriptions, please visit the Liverpool University Press website, here.